Set to launch in May are the YSL Vinyl Couture Mascara collection. Coloured mascara is always something hotly debated, in and out of fashion and very intimidating to pull off. It isn’t something I currently have in my make up bag; it a beauty look that for now belongs more on runway models and in magazine editorials. Hearing that YSL is now releasing their YSL Vinyl Couture Mascara might shake up this beauty faux pas however. Launching this spring is their line of nine vibrant mascara shades, two of which are sparkling topcoats, as well as two corresponding eyeliners. Whilst growing up and getting into make up coloured mascara, particularly blue, was very popular. This retro passion is visible as over the past 4 years the YSL Vinyl Couture Mascara has been developed by L’Oréal, YSL’s parent company, with 18 – 34 demographic, ‘Millennials’ in mind. The product promises to give volume, length, and curve to the lashes as well as containing argan oil, carthame oil, sweet almond oil, and castor oil to promote lash care and growth. The YSL Vinyl Couture Mascara is said to deliver colour like no other mascara with its high concentration of lacquer pigments on a translucent liquid base creating its vinyl-like texture and shine. 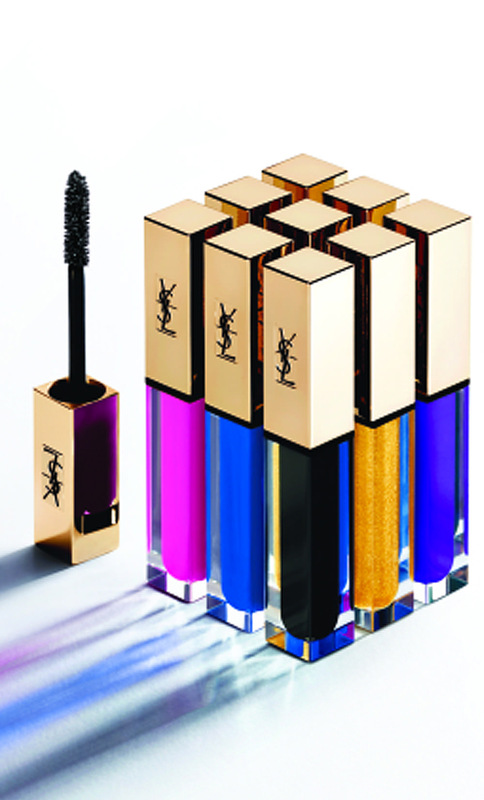 From the colours and the rectangular packaging you may mistake the YSL Vinyl Couture Mascara for liquid lipsticks. Cara Delevingne will be fronting the campaign and I am looking forward to the campaign as there will be a big digital push for the mascara in the form of videos, gifs and 15-second how-to videos. Are you Pro or Against Coloured Mascara?